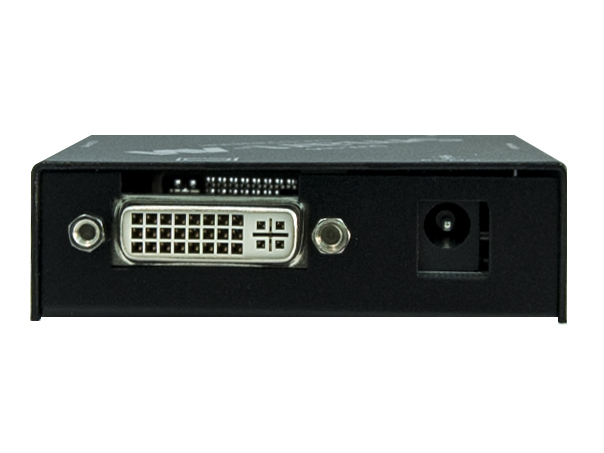 Extend DVI video signals’ effective range by 50 feet over CAT5 cabling. 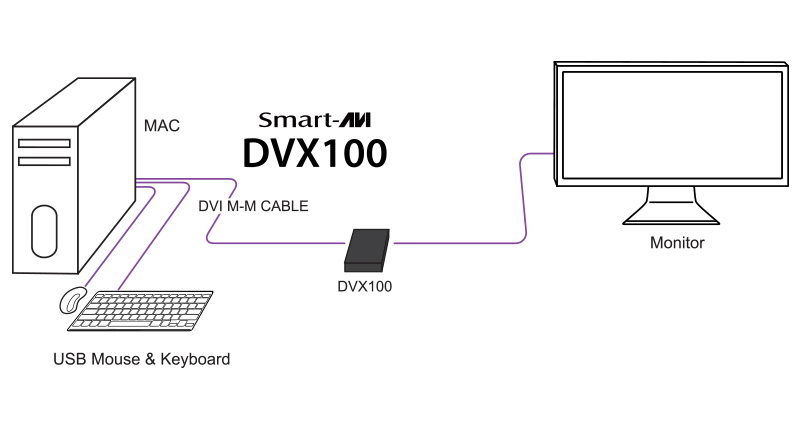 SmartAVI's DVX-100 extends DVI-D signals up to 50 feet from source devices via inexpensive, reliable CAT5 cables. 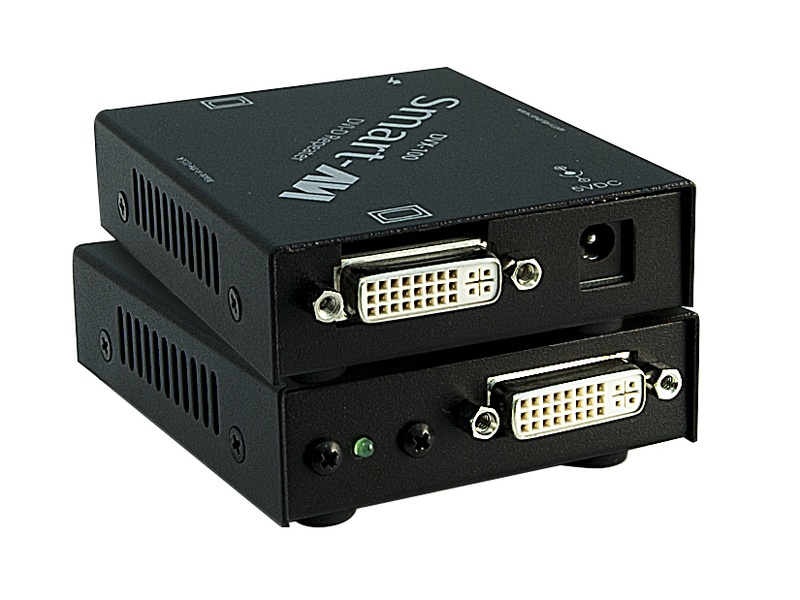 Cost-Efficient DVI-D Extension The DVX-100 is perfect for wallet-conscious users looking to boost their DVI-D signal range. Capable of 1080p (1920x1080) Full HD resolution, the DVX-100 offers stunning picture quality at extended distances. Better yet, the DVX-100 is daisy-chainable, so one DVX-100 extender system can connect to another for double the signal range (100 feet!) without loss in quality or performance. Best of all, the DXV-100 utilizes CAT5 extender cables, which are both affordable and highly reliable. Amongst the most popular extension methods for AV equipment, CAT5 cabling ensures the highest-grade signal transmission at a fraction of the cost of most other high-end chords. 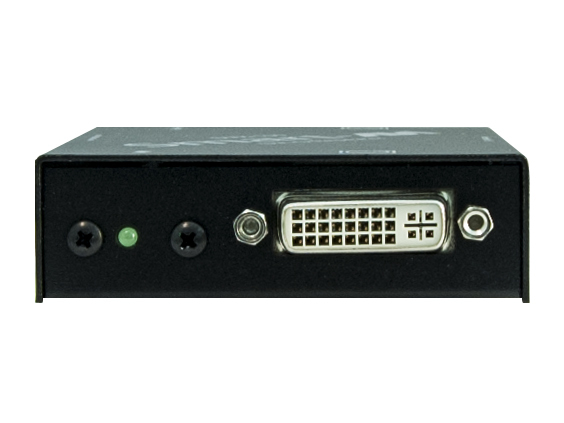 Presentations DVX-100 enhances any presentation from commercial products to corporate financial data. It can be used in show rooms, board rooms, trade shows and window displays. Data Broadcasting Data such as news, stock prices, sports results, and flight information can be broadcast in real time to various monitors and/or speakers. Learning and Training DVX-100 can be used in educational presentations to multiple locations, in schools and in other training facilities.